The overall need/educational goal is to evaluate and incorporate new knowledge into clinical practice among palliative care and pain management pharmacists. The learning objectives support this goal. Participants must attend the entire session, participate in all activities and complete an online evaluation form before credit is awarded. The CPE activity will be held as a live webinar on Zoom. Make sure to test your computer video and audio prior to attending the webinar. CPE Credits will be submitted and posted to your NABP CPE profile within 2 weeks once you have successfully met these requirements. Summarize the available evidence supporting methadone use as a coanalgesic in palliative care patients. Describe the strengths and weaknesses of Courtemanche et al’s 2016 cohort study evaluating methadone use as a coanalgesic in palliative care patients. Discuss the benefits and burdens of opioid rotation to methadone versus addition of low-dose methadone as a coanalgesic for palliative care patients with severe uncontrolled pain. Identify important unanswered questions regarding methadone use as a coanalgesic. 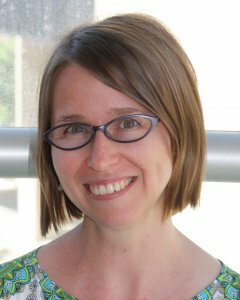 Brief Bio : Kashelle Lockman is a clinical assistant professor in the Department of Pharmacy Practice and Science at the University of Iowa College of Pharmacy. Her area of practice is hospice and palliative care. Disclosure : Kashelle Lockman has completed and submitted the SIUE School of Pharmacy Continuing Pharmacy Education Form for Disclosure of Potential Conflicts of Interest and none were reported.